Hilarious Christmas parties and dining experiences. Our Christmas events and dining experiences are back! Spice up your Christmas party this year with some of the funniest dining experiences in town. Our Christmas events are the perfect way to celebrate the festive season with hilarious interactive entertainment and fabulous Christmas themed menus. 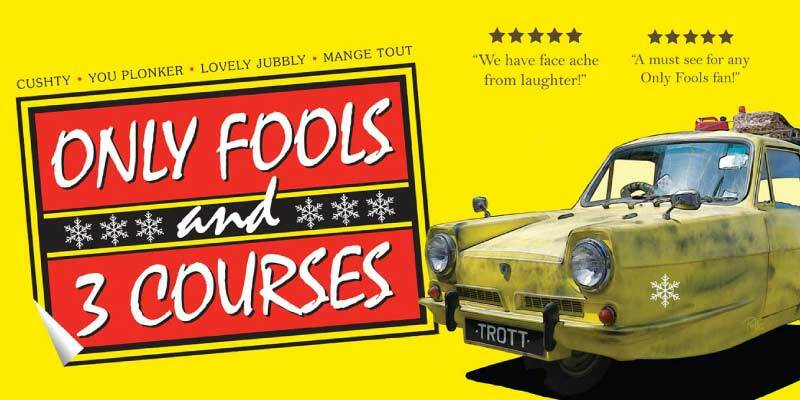 The globe-trotting west end show returns to The Old Bell Hotel for its 5th year. 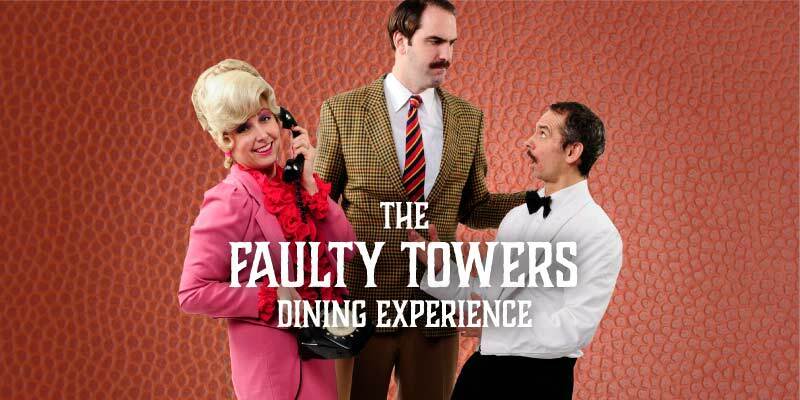 Join Basil, Sybil and Manuel for an evening of shambolic service and chaos lovingly inspired by the classic BBC sitcom. 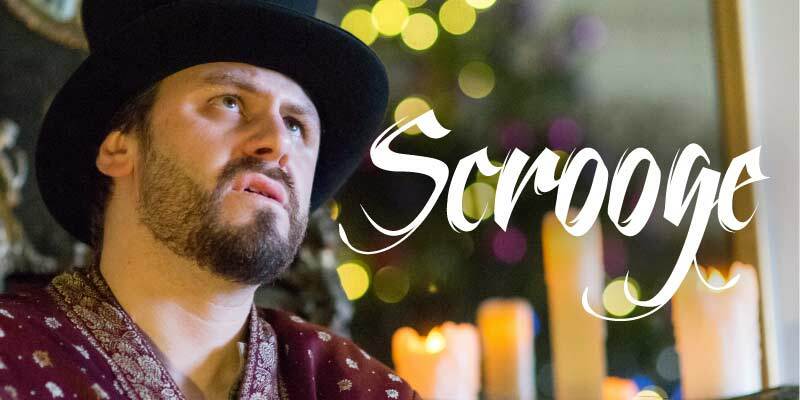 Join Scrooge in his home as he prepares for another lonely Christmas. Expect a frosty reception on arrival and a unique 3 course meal. Watch as grumpy Ebenezer is visited by the 3 ghosts and slowly warms to his Christmas guests. 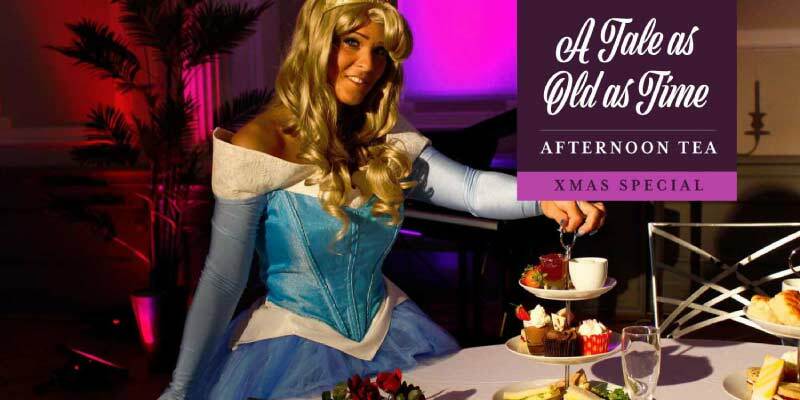 Perfect for the whole family enjoy a Christmas themed afternoon tea with surprise visits from princesses, pirates and Santa. Take a seat in the winter wonderland. Marlene and Boycie are back hosting their gala dinner, but will it all go to plan with Del, Rodney and Uncle Albert on the guest list? Throughout December we will be hosting a range of different events including a Christmas comedy night, carols by candlelight, piano nights and more. Take a look at some of the other events coming up. Are you planning a Christmas party? Get in touch to see how we can help.